Here is the customers porch with a completed exterior. Here is a look at the customers new porch are with their Origin bi folds open. Here is a closer look at the roof structure our team built. 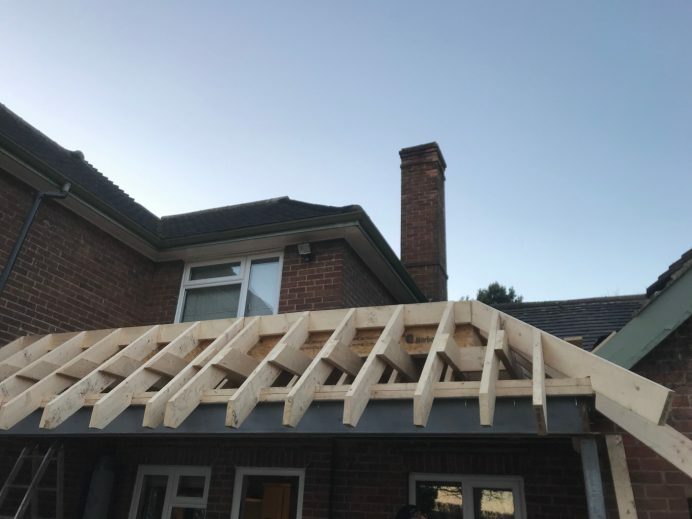 With the roof structure on, our team can soon begin tiling the roof, and fitting the Origin Bi fold doors and windows in place. 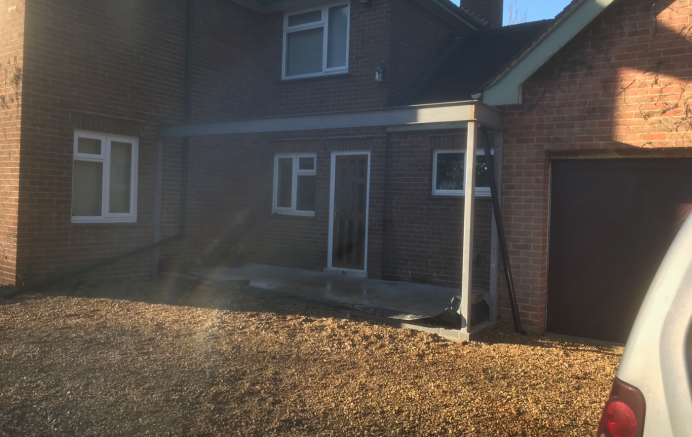 In this image, our team have already begun work by creating this steel frame of the porch. For many of our customers, they like to provide their home with something that makes them unique on their street. 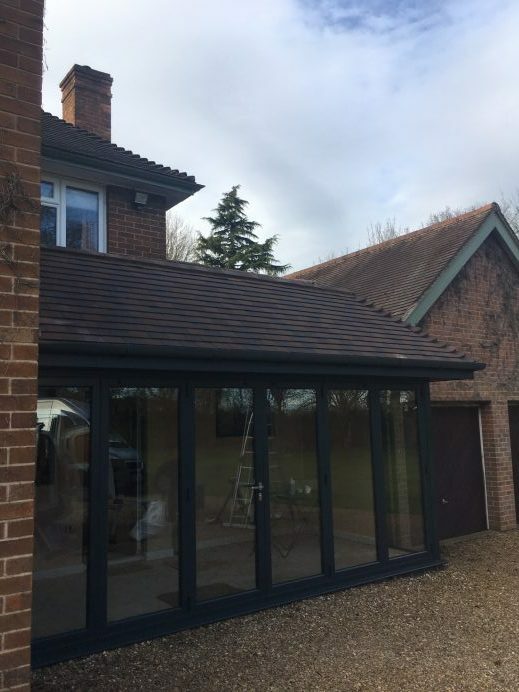 Sometimes this involves fitting a new front door or even new windows at the front of their home to provide a completely new look to their property. 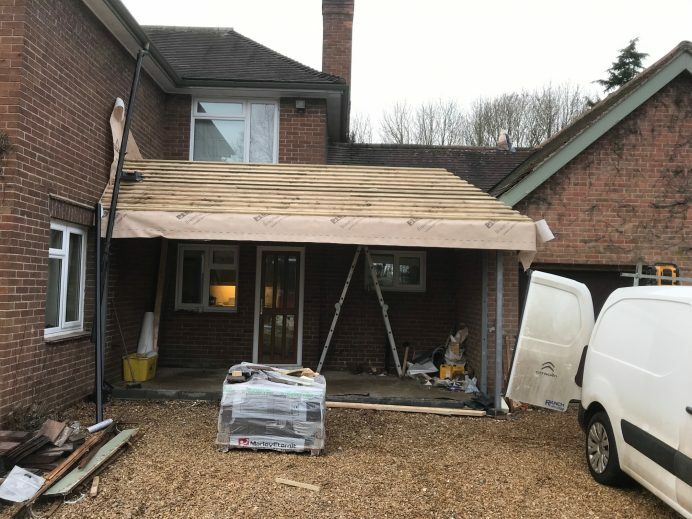 In some situations though, a customer will opt to have a new porch area built at the front of their home, to provide more space for them to keep their outdoor clothes. 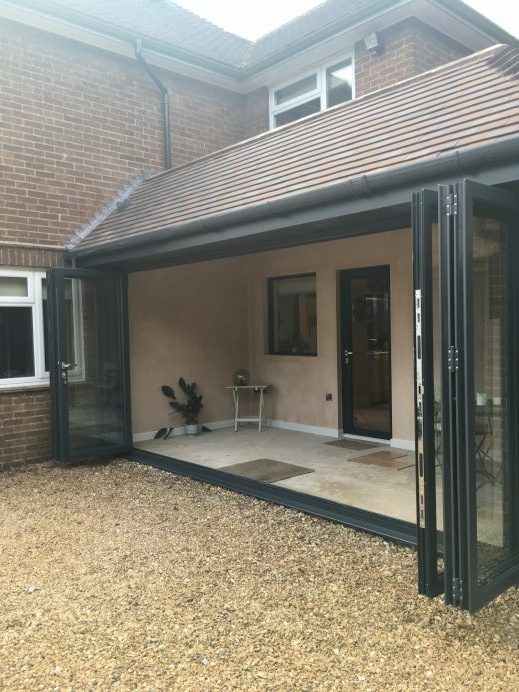 This particular customer wanted to have a porch area built at their home, but while wanting to use it as a new storage area, they also wanted to have it as a space they could sit in and look out to admire their view. With these specifications set by the customer, our team pitched a five metre porch area, providing more than enough room for the customer to store item, and also have a relaxing space, but to ensure they had a good view from their porch area, and also easy access to and from it, we fitted the porch with a set of 4 pane Origin bi fold doors and the two floor to ceiling windows. 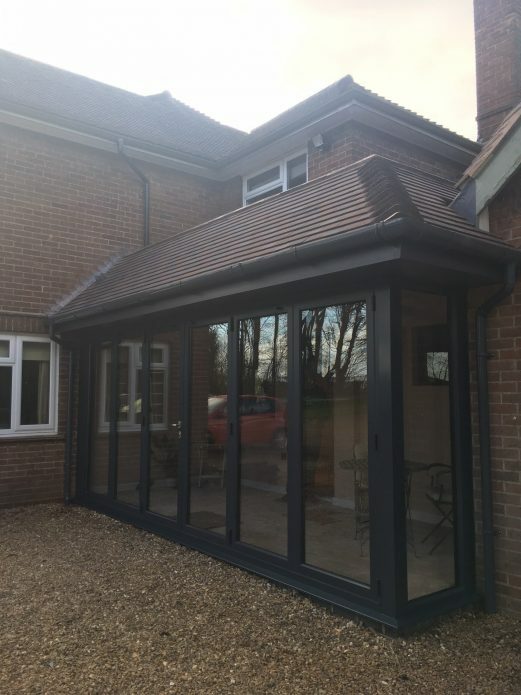 As you can see from the images, the final results are breathtaking, and this new porch area definitely helps the customers home stick out from the rest.